Visit the largest Royal Palace of Europe in a three hour tour which will allow you to see it in a relaxed manner, understanding its history and also surroundings. The guide will pick you up from your hotel and will accompany you to the Palace. Or if you prefer, the guide could meet you in the plaza del oriente, next the ststue of Felipe IV. The price of the tour will include the entrance ticket and will also allow you to avoid the long queues. 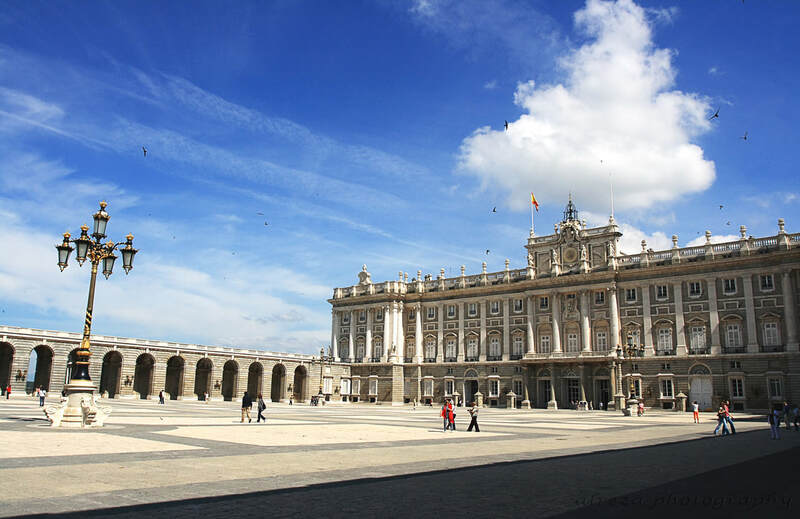 ​With more than 3000 rooms and 135.000m2 the Madrid Royal Palace is a unique monument. The noble areas of the Palace are full of luxury, art and history. Rely on an expert who will explain to you how the Palace was developed, the use of the rooms and the artist ideas within all you see. This will allow you to more deeply understand and enjoy the Palace. Starting from your hotel, the guide will accompany you to the Palace telling you things about the streets you cross, the history of the city and the general history of the Royal Palace. Once there, you won’t have to queue and will be able to enter the Palace directly. During the tour of the Palace you will have the opportunity to see the old rooms of the king, full of masterpieces, frescos and lamps on the ceiling, exquisite luxury clocks and furniture; the spectacular banquet room, with a capacity for 150 diners; the Royal Chapel of the Palace, in a sumptuous baroque style; the throne room, a place of power for centuries and whose decoration remains the same as from the XVIII century; The Royal Armery, with the armour and weapons of the kings through the centuries; and of course many more rooms and secrets. An essential visit if you are in Madrid. The departure point will be from your hotel, where the guide will pick you up. Or from the Plaza del Oriente, next to the statue of Felipe IV on horseback. After making the reservation, you will receive the contact details of the local guide so there are no problems with the pick up. It’s important to indicate the name of the hotel with the reservation, otherwise you may agree to meet at the entrance of the Palace.